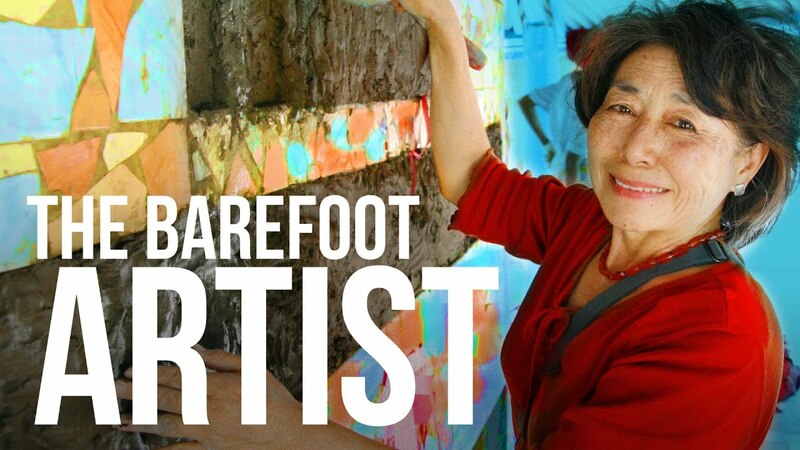 THE BAREFOOT ARTIST chronicles the long and colorful life of Lily Yeh, an artist who has committed herself to creating community-based art projects in some of the world's most troubled areas. Beginning with the creation of an unprecedented sculpture garden in the projects of North Philly that became known as "The Village of Arts and Humanities," the film also shows Yeh working in various far-flung locations, such as Kenya and Rwanda, where she teaches survivors of war and calamity to make murals and build sculptures drawn from their own experience. Working with Yeh on these projects, they are able to regain hope, a sense of purpose, and a belief that life can be about creation as well as destruction. "A poignant documentary about the transformative power of art." "There is much healing in "The Barefoot Artist," Glenn Holsten and Daniel Traub's fascinating documentary portrait of the artist Lily Yeh. " "Highly recommended. Sensitively photographed and expertly edited, this reflective essay on the professional accomplishments and personal story of an innovative and inspirational artist succeeds on both counts."